There’s no shortage of good players of Everton FC anymore. But there is a shortage of a good team. OK, that’s not entirely true: we’re obviously desperately short of a good ‘keeper, and we could do with upgrades in a couple of other different areas of the squad…. It’s also fair to say we’ve played better than our results have shown- but we haven’t picked up the points we should’ve for one reason or another. I say we deserve to be exactly where we are, but that’s up to you if you want to decide whether you call us a good team underperforming, or an average team in a competitive league. But here’s the crux of it: good teams>>>>> good players. We’ve lots of good players, but we’re only as strong as the weakest link of our team: at the back. And it isn’t one or the other to blame when it comes to looking at defence and ‘keeper- it’s both, and the evidence is damning for both. We’re a team that talk the talk, but in reality, we look scared to death to actually succeed and walk the walk. Every week we hear the same tired talk from staff and coaches. If it isn’t how ‘we need to learn from this’ it’s ‘we must improve and turn these results into wins’- both of which are blindingly obvious, but it’s clear that it’s easier said than done when it comes to the toffees. So what do these numbers tell us? For a kick off, Romelu Lukaku is sound. He slumped to ten league goals last year, but in his first season he was excellent, and has been doing the business in front of goal again this season. The allure of working with Roberto Martinez the charismatic man manager was no doubt a big part of Lukaku coming to us- certainly second time round. Also, read the same points for Gerard Deulofeu. The warm, smiling, positive nature has helped these two flourish, and has also overseen the development of John Stones, Ross Barkley and Brendan Galloway- who each would likely have not played as much football under David Moyes… The latter two: almost certainly. And of course, I could go on. The same defensive frailties continue to haunt us. Some of the awful goals we’ve conceded have been from set pieces, others have not, but if it’s true to say that we still don’t practice them, then that’s pretty insane. Remember, the great Achillies was only as strong as his heel. There isn’t enough nastiness about this side, isn’t enough leadership. We do miss Phil Jagielka, but we conceded a fair few stinkers before his extended absence, and his impending return shouldn’t be thought of as answer to all of our defensive problems. It isn’t just the defence, however- although they contribute massively to the recent malaise that has meant we’ve now won two of our last ten league games: relegation form. There’s an elephant in the room, and it wants you to check his stats. Let’s do that, shall we? Last season, Tim Howard had the second worst save % rate of all ‘keepers in all the major European leagues (minimum of 5 starts). The worst in the Premiership (59%), which dipped to 50% when just taking into account shots inside the box. No ‘keeper has come out for more crosses and failed to win the ball than Howard (5) so far this season (a lot for a ‘keeper who rarely leaves his line), although John Ruddy has done it the same amount of times. Did I mention Ruddy had been dropped? Tim has made 2.29 saves per goal conceded this season. For comparisons sake, Jack Butland, Petr Cech and others hover somewhere between the 3. something and 4. something- a big difference. But unlike Ruddy, he still remains. Joel Robles mightn’t be the ‘keeper of our future: he doesn’t have to be. He just has to be the best ‘keeper for the next game. Howard’s form has not been deserving of his place in a team with ambitions of a top six finish. 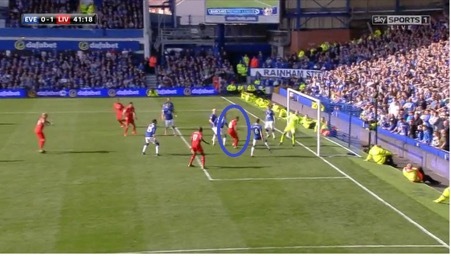 I’m sorry to say it, but think about the way Steven Gerrard was dealt with by Liverpool last year. As soon as his legs were clearly gone, and he wasn’t doing the business for them anymore, he was out. A man who carried that club through the years, one of their best ever players, was dispatched with when he was no longer the better option. Everton don’t owe Howard a hundredth to him as what Liverpool did to Gerrard (and that isn’t a knock on Tim), but we don’t have that ruthless culture. Martinez is right to publicly back his players, and he may be critical of Howard in private, but the time for loyalty has been and gone. The longer Martinez fails to address the elephant in the room, the closer he edges himself toward the door for some. It should be said, the team could be doing more to help Howard. Christian Fuchs- the Leicester left back up against Gerard Deulofeu on Saturday made four blocks from crosses. Our main attacking threat struggled, and he had a quiet game. Leicester average 4.1 blocked crosses per game, Everton average 3.5. That mightn’t sound a big difference, but consider that Everton average around 53% possession throughout the season, a full 12% more than Leicester- meaning Leicester’s opposition have the ball 59% of the time, Everton’s opposition have the ball on average 47% of the time, and it starts to paint a picture. Sure, we’ve been without Leighton Baines- Brendan Galloway couldn’t have been expected to do more in his absence, but the low point of our season- Bournemouth- the equaliser in stoppage time coming from a soft cross down the right when all we had to do was see the game out. 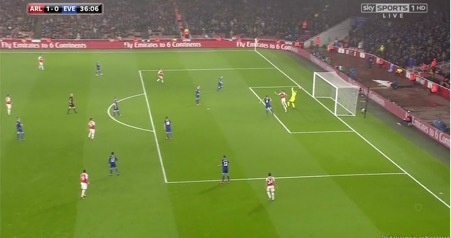 We’ve failed to seize momentum at key times because of fundamentals: failing to stop crosses is one, as is our marking of set pieces, as is the play of our goalkeeper. All could’ve long been addressed, but they haven’t. 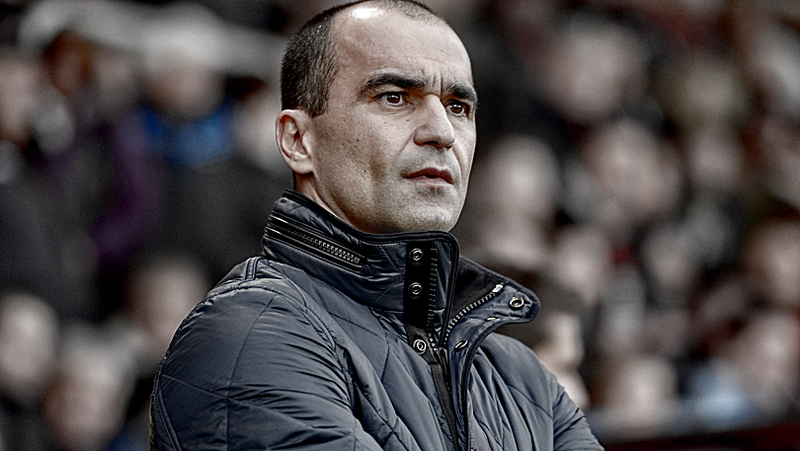 The football we’ve witnessed under Roberto Martinez has been excellent at times. Some of the best stuff I’ve ever seen, but it means nothing if we don’t win more. We’re on course to finish five points better off than we did last season when we finished with a disappointing 47 points- without having had the distraction of Europa League football to deal with this season- that’s not acceptable. Wages have risen from £63 million under Martinez to £77 million, thanks to the calibre of player he’s had at his disposal. With loan deals included, Martinez has a gross spend of £76 million to date over his two and a half years- the football should be some of the best stuff that people of my age and younger have seen. But we’re languishing. Martinez has around 40% win ratio in the league- the same as Moyes- but Martinez hasn’t had to come in and fight fires as Moyes did. We weren’t clinical enough against Swansea, Liverpool, Bournemouth, Palace or Norwich. 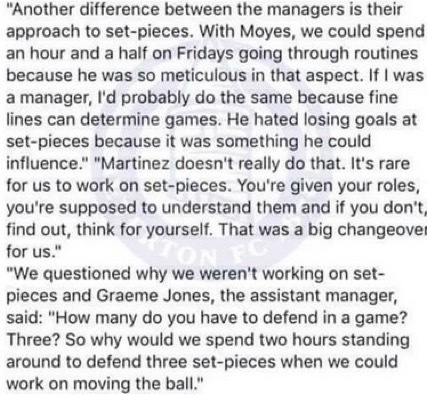 The tactics Martinez employed worked very well, and he can’t put the ball in the net for his team when they create as many chances as they have, but failed to win. But he can sort his defence and ‘keeper out. That is in his control. Of those games, we only kept a clean sheet in one. It is in his own interest to sort things out before someone else is paid to. I’m not advocating sacking Martinez by any means, but we can’t go on hoping to fix our issues with what feels like nothing more than a pair of crossed fingers. Let’s not act clever anymore, let’s be clever and address the issues at hand. This squad has not turned in results it should’ve. Martinez needs more from his players, and they too need more from him. We all like a nice guy, but nobody likes finishing last. Time to get back to basics at the back.